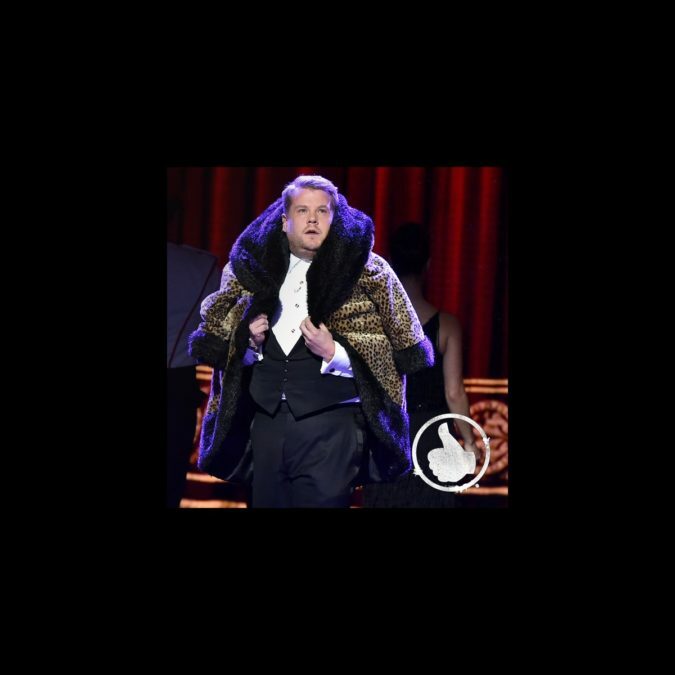 Now that the 2016 Tony Awards are over, let's take a moment to talk about how perfectly entertaining James Corden was as the evening's emcee. Corden kicked off the ceremony with a heartfelt message about the devastating attack in Orlando, Florida, saying: "Theater is a place where every race, creed, sexuality and gender is embraced and is loved. Hate will never win. Together, we will make sure of that. Tonight's show is a symbol and a celebration of that principle. This is the Tony Awards." Corden then spent the next three hours showing off all of his many talents, including his cheeky sense of humor, his (Tony Award-winning!) singing and dancing chops and, of course, his uncanny ability to keep genuine smiles painted on everyone's faces. We immediately fell for his early musical number where Corden joyously celebrated all of the theater roles he's dreamed of playing ever since he was a young boy, including Jean Valjean (Les Miserables), Simba (The Lion King), Danny Zuko (Grease), Maria Rainer (The Sound of Music), Annie (Annie), Tevye (Fiddler on the Roof) and, naturally, Mama Rose (Gypsy). For the rest of the night, Corden kept the show moving right along while also eliciting chuckles from guests inside the Beacon Theatre and audiences at home. His bit about all of the Law & Order acting credits Broadway stars have, especially Danny Burstein (we counted seven! ), had us LOL-ing. But most importantly, Corden kept the inclusive message of "This could be you!" at the forefront of the show, and that is exactly the right note for a show that celebrates the magic of Broadway and live theater. Hosting the Tony Awards is a challenging gig, but Corden pulled it off with ease. As far as we're concerned, Corden has our love, our praise, and we'll love him till our dying days.